President Trump's new National Security Strategy (NSS) deserves careful attention, particularly by America's allies and strategic partners and by those who deal with everything the President says or issues in terms of knee jerk criticism. It is a document that President Trump reviewed and altered in some depth and that represents his views—rather than a bureaucratic compromise. At the same time, it both expands on the classic themes of U.S. strategy—rather than rejects them—and commits the U.S. to playing its traditional role in leading the free world. 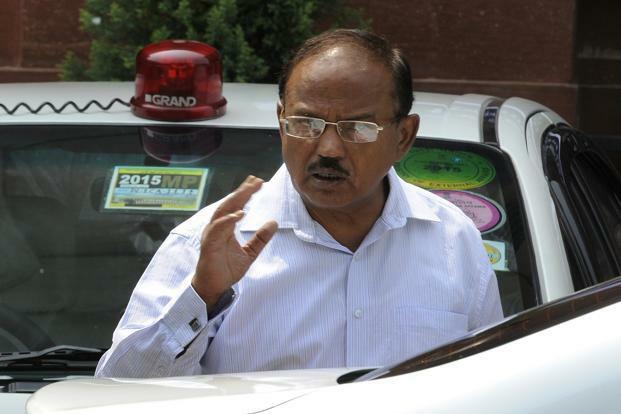 The first dialogue between China’s Yang Jiechi and India’s national security adviser Ajit Doval (in photo) was held after the Doklam standoff ended in September. New Delhi: India and China may suggest some new confidence building measures aimed at stabilizing their un-demarcated border and maintaining peace during the 20th round of talks expected this week between their special representatives (SRs) mandated to finding a solution to the decades-old border dispute.Given that this will be the first dialogue between the two SRs—Chinese Communist Party’s Politburo member Yang Jiechi and India’s national security adviser Ajit Doval—after the 73-day military standoff in Bhutan’s Doklam plateau earlier this year, analysts say the two will discuss ways to prevent a repeat of the circumstances that triggered the crisis. While attention in Asia has been distracted by the North Korean nuclear crisis in the past year, China has continued to install high-frequency radar and other facilities that can be used for military purposes on its man-made islands in the South China Sea, a U.S. think tank said on Thursday. Chinese activity has involved work on facilities covering 72 acres (29 hectares) of the Spratly and Paracel islands, territory contested with several other Asian nations, according to the Asia Maritime Transparency Initiative of Washington’s Center for Strategic and International Studies. The report cited satellite images. The administration of U.S. President Donald J Trump has re-raised the decade-old geopolitical concept of the “Indo-Pacific region.” Within this framework, it is proposing and pushing for a so-called “Quad” — a potential security arrangement among the four large democracies of India, Australia, Japan, and the United States. The proposed Quad is widely perceived as a part of the U.S. China containment strategy. 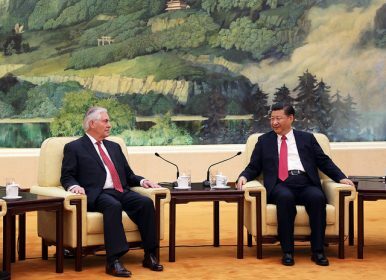 U.S. pressure, both public and private, is forcing each prospective member, as well as other players like Singapore, to face some very tough decisions regarding their future relations with China. To the chagrin of the United States, their decisions are neither easy nor clear cut. 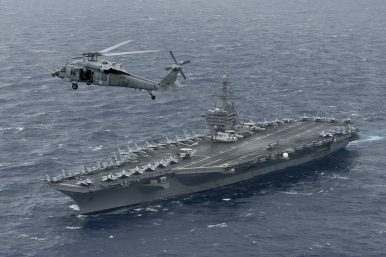 A Chinese diplomat in Washington recently threatened that China would invade Taiwan if the U.S. Navy sent a ship to visit the democratic island, something that Congress has called upon the Pentagon to do in 2018. Is this just empty rhetoric? Or does it reflect Beijing's actual intentions? It's actually a bit of both. According to leaked Chinese military documents (analyzed here), Taiwan stands to lose more from the rise of China as a twenty-first-century superpower than any other country in the world. Indeed, China's emergence as the world’s second largest political, economic and military power threatens the interests of many nations, but only Taiwan has its life at stake. Only Taiwan is held at risk of seeing its trade lines severed, its cities bombed and its shores invaded. Only Taiwan faces the possibility of having its president assassinated and its democracy destroyed. China's authoritarian government challenges many countries in many ways, but it only has war plans for the invasion and occupation of Taiwan. Is China's Era of Cheap Labor Really Over? 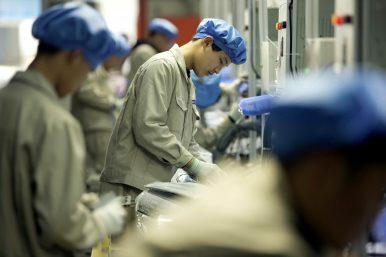 Cheap labor has long been considered the main factor behind the Chinese economic miracle, propelling the country to the status of the world’s factory, shifting global supply chains, and igniting debates in other countries about companies moving their plants to China, the consequences of job outsourcing for domestic industries and workers, and unfair competitive advantages associated with the poor labor conditions of Chinese factory workers. Iran is one of the leading cyberspace adversaries of the United States. It emerged as a cyberthreat a few years later than Russia and China and has so far demonstrated less skill. Nevertheless, it has conducted several highly damaging cyberattacks and become a major threat that will only get worse. Like Russia and China, the history of Iran’s cyberspace operations begins with its hackers. But unlike these other countries, Iran openly encourages its hackers to launch cyberattacks against its enemies. The government not only recruits hackers into its cyberforces but supports their independent operations. US national security adviser HR McMaster condemned Qatar and Turkey for taking on a “new role” as the main sponsors and sources of funding for extremist Islamist ideology that targets western interests. “Radical Islamist ideology is a grave threat to all civilised people,” Gen McMaster said. The US national security adviser said this threat has been identified “myopically” in the past. “We didn’t pay enough attention to how it’s [radical Islamist ideology] being advanced through charities, madrassas and other social organisations." But there are policies and innovative initiatives that Australia can pursue to help balance that trend. One path is to take further advantage of our close defence relationship with the U.S. while it pursues its ‘third offset’ strategy. "It is a fact that North Korea has been attacking virtualcurrency exchanges," said Lee Dong-geun, a director with South Korea's state-run Korea Internet and Security Agency. "We don't know how much North Korea has stolen so far, but we do know that the police have confirmed the regime's hacking attempts." North Korean hackers targeted four different exchanges that trade bitcoin and other digital currencies in South Korea in July and August, sending malicious emails to employees, according to police. Russia is aggressively building up its nuclear forces and is expected to deploy a total force of 8,000 warheads by 2026 along with modernizing deep underground bunkers, according to Pentagon officials. The 8,000 warheads will include both large strategic warheads and thousands of new low-yield and very low-yield warheads to circumvent arms treaty limits and support Moscow’s new doctrine of using nuclear arms early in any conflict. In addition to expanding its warheads, Russia also is fortifying underground facilities for command and control during a nuclear conflict. One official said the alarming expansion indicates Russia is preparing to break out of current nuclear forces constraints under arms treaties, including the 2010 New START and 1987 Intermediate-range Nuclear Forces (INF) treaties. Russia violated the INF accord by testing an illegal ground-launched cruise missile. President Donald Trump signed the 2018 defense authorization bill into law on Dec. 12, but he had a few choice words for a section designed to pressure the White House into delivering a cybersecurity strategy to Congress. In a signing statement, Trump said he strongly objected a provision that limits funding for the White House Communications Agency "contingent upon the submission of a report on a national policy for cyberspace, cybersecurity, and cyberwarfare." Trump called the measure "unprecedented and dangerous." The item, section 1633 in the National Defense Authorization Act, is near and dear to Sen. John McCain (R-Ariz.), the chairman of the Senate Armed Services Committee. LONDON: Kaleidoscopic changes in the Middle East have produced a constellation of power posing fresh challenges to the United States. The emerging alliance among Russia, Iran and Turkey gained its newest member in Qatar, thanks to a rash move by Saudi Crown Prince Muhammad bin Salman. Most alarming for America: Turkey is NATO’s easternmost member with the second largest military in the defense partnership. Qatar provides the Pentagon’s Central Command with its forward base, the region’s largest. This fall has been an ugly one for Ukraine. Throughout September, October, November, and December, Ukrainian authorities have illegally detained, persecuted, and expelled several foreign journalists and other foreign residents, causing observers to question whether Ukrainian leaders are actively violating human rights and willfully persecuting their political opponents in an effort to maintain their grip on power. In fact, the Ukrainian authorities seem to be pursuing a policy of double standards, demanding that Russia liberate Ukrainian political hostages and journalists while simultaneously arresting dissenting activists, journalists, and political opponents. This Report turns the spotlight on two major players in the global defence industry: Russia and China. It examines how both countries, however different in their trajectory and ambition, have in recent years narrowed the industrial and technological gap with the European armaments sector and are now openly chal­lenging the West’s traditional superiority in this domain. The loss of this military-technological edge could severely undermine the West’s abil­ity to counter direct Russian or Chinese military threats, while also entailing greater competition for European defence industries, thus reshaping the global arms trade – with repercussions for security relationships around the world. The Pentagon will delay a Jan. 1 deadline for all of its suppliers to meet a set of new regulations largely designed to better protect sensitive military data and weapon blueprints. By year’s end, companies must instead merely show that they have a plan in place to meet the regulations, Ellen Lord, the defense undersecretary for acquisition, technology and logistics told the Senate Armed Services Committee. Iran is one of the leading cyberspace adversaries of the United States. It emerged as a cyber threat a few years later than Russia and China and has so far demonstrated less skill. Nevertheless, it has conducted several highly damaging cyberattacks and become a major threat that will only get worse. 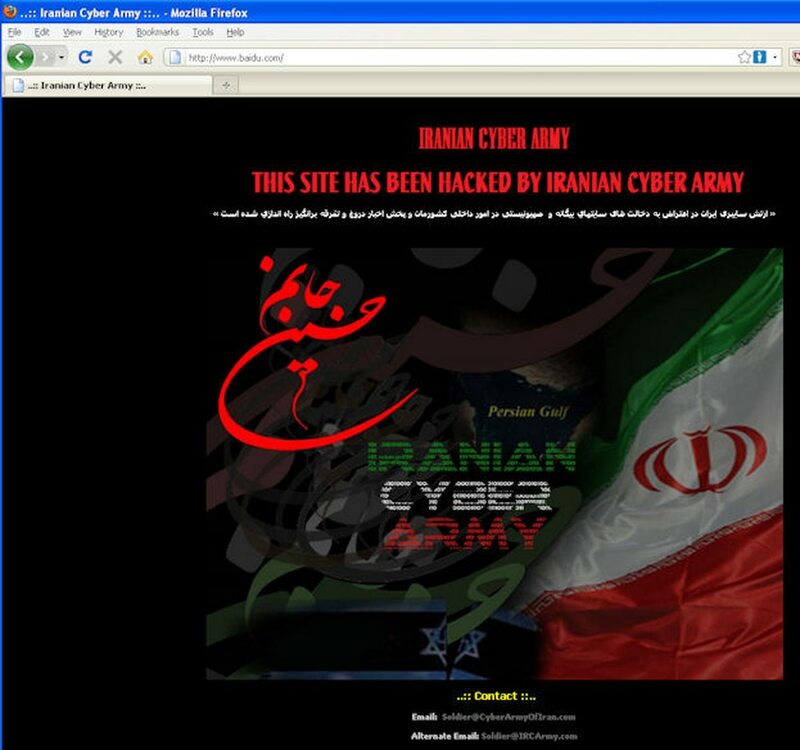 Like Russia and China, the history of Iran’s cyberspace operations begins with its hackers. But unlike these other countries, Iran openly encourages its hackers to launch cyberattacks against its enemies. In the (near) future, troops on the ground will check their kit to make sure everything is accounted for as they head into battle, and the most critical tool will be data access. 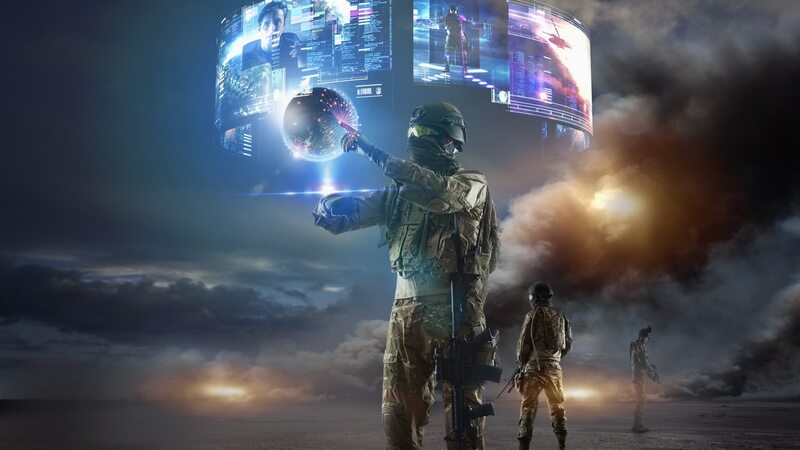 That is, at least, what some future-focused tech officials at the Pentagon say, pointing to the growing importance of cloud capabilities and access to data at the tactical edge. To take on the increasing appetite for data, officials are pursuing pilot programs and working diligently on tools like much-needed algorithms that make intelligence products from the volumes of data pouring in from sources like unmanned aerial systems’ video feeds.